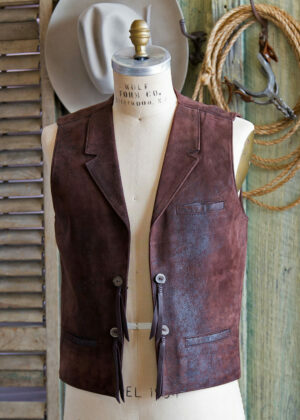 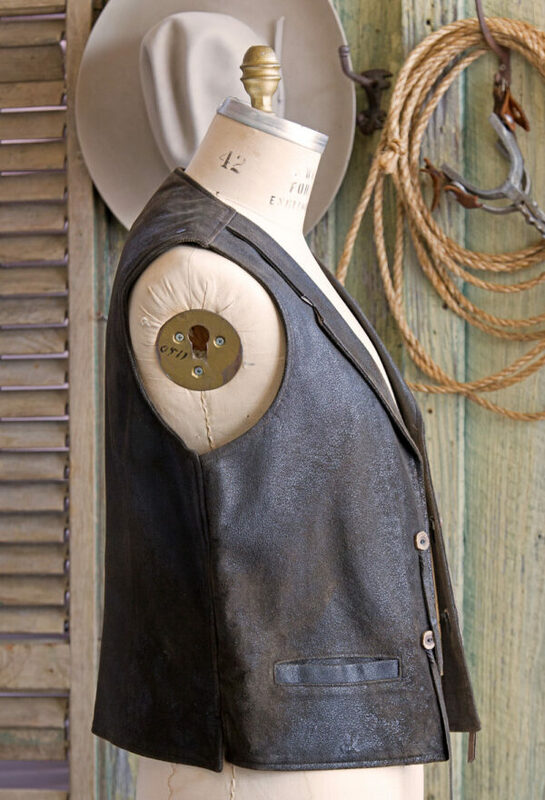 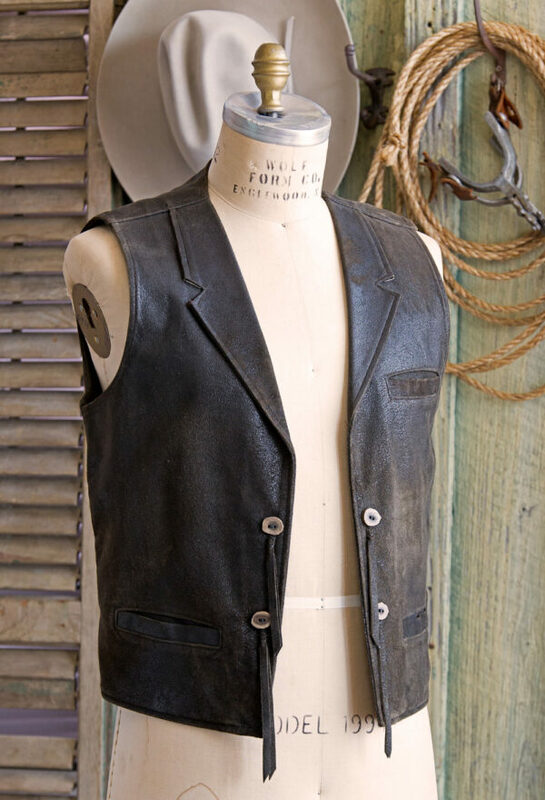 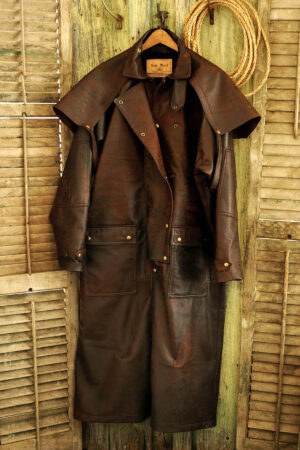 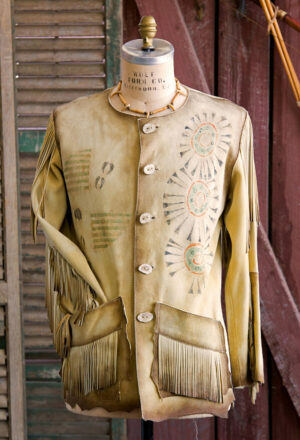 John Wayne Vest designed after the Duke’s vest that he wore in his western movies. 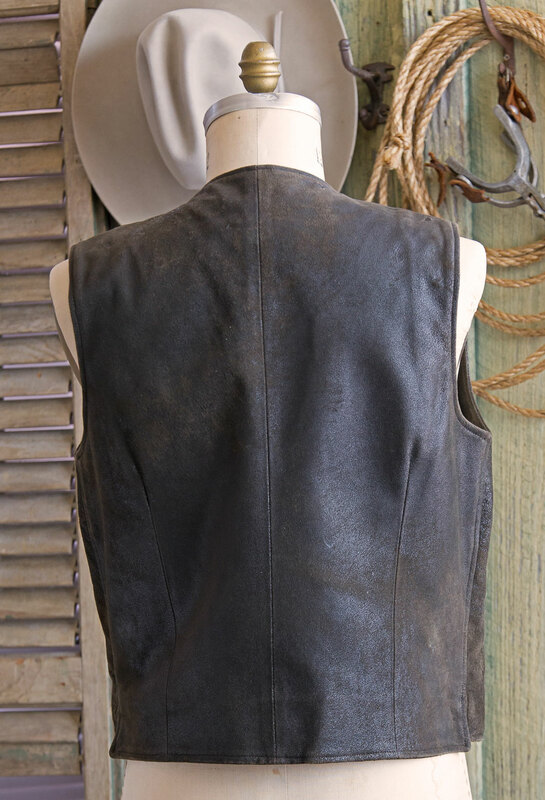 Made in leather with amazing character, the styling is edge to edge and does not button, so it easily fits multiple sizes and physiques. 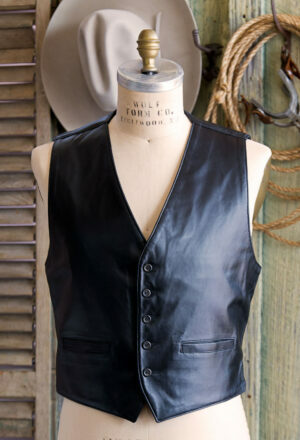 Features 2 insight lower pockets and a breast pocket. 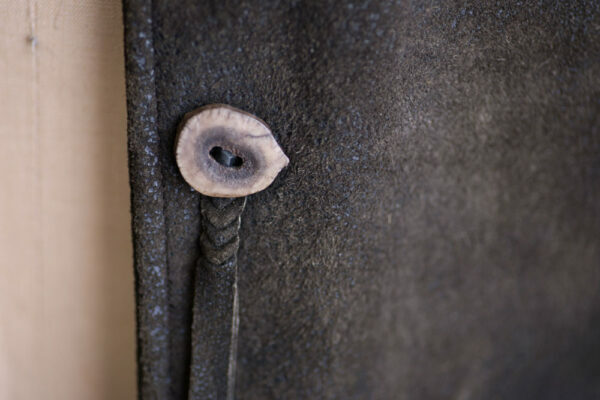 Finished with 4 antler conchos with tassels. 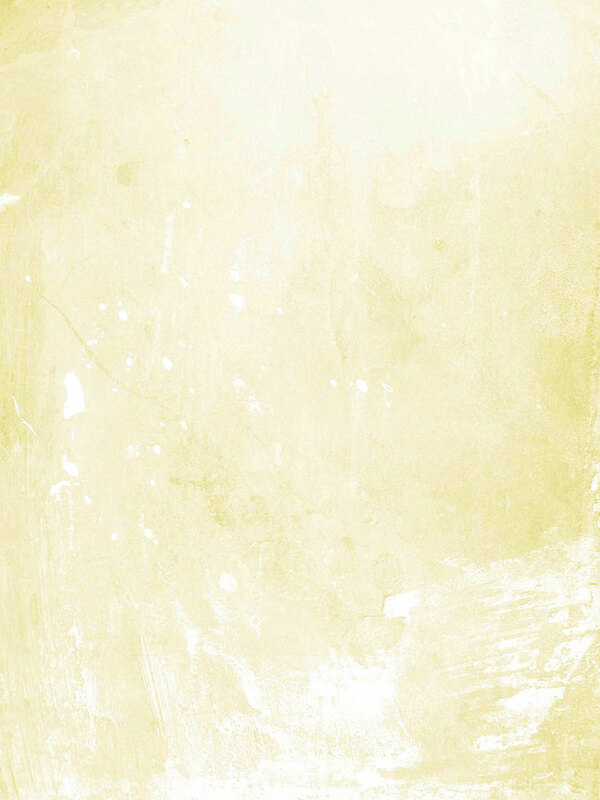 Shown in Java lamb skin.